When and where is The Charge? The Charge will take place Wednesday, July 24-28, 2019 at Loyola University in Chicago. There is a registration fee of $109. This covers your lodging, food and any living expenses for the week. The goal is, once a participant arrives, he should not have to pay any money out of pocket. The only additional cost to attend The Charge are any travel expenses. Flights and parking are not covered by the registration fee. Applications are due by May 20th. Applicants will be notified by June 1st if they are accepted. 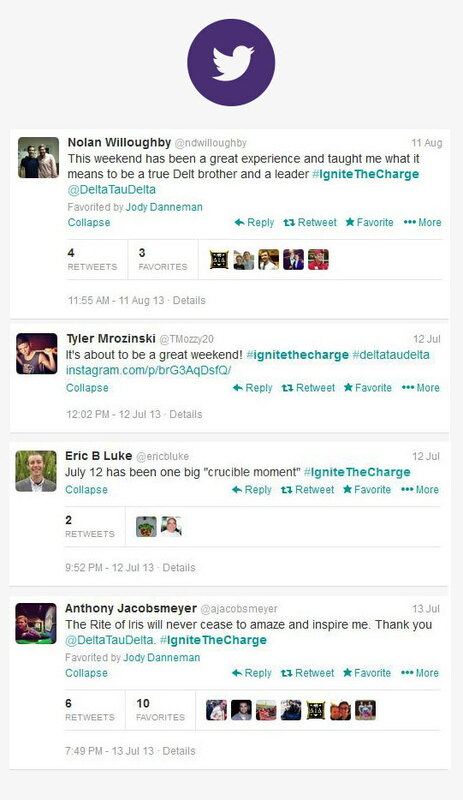 The Charge is a five-day experience currently taking place in Chicago. Throughout the week we will look at what goals you want to accomplish professionally, personally and analyze what roles you want to have in your community. Each day at The Charge men are given tasks to complete in the city of Chicago. Similar to the NBC show, The Apprentice, participants are given a budget, objectives they need to meet and a time frame to complete each task. The week concludes by completing a five-year personal, strategic plan. 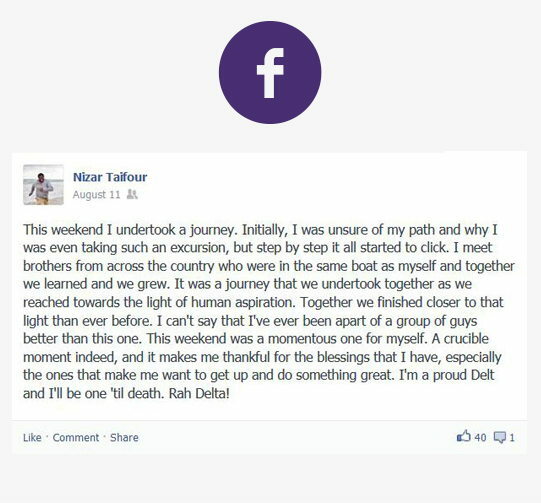 You will also have time to sit down one-on-one with an alumnus from Delta Tau Delta who is a leader in his own industry. They will provide feedback on your plan and help you examine how the Fraternity can help you reach your goals. Men who are thinking about what the next step after graduation will entail. Individuals at The Charge should be highly motivated and willing to think outside the box. You will be challenged to think strategically and creatively about your future. Past participants of The Charge have used their experience in job interviews, in future classes and in their community.